Enforcement of Brookline's Overnight Parking Ban has been waived for tonight and tomorrow night. Have a safe and enjoyable Christmas. 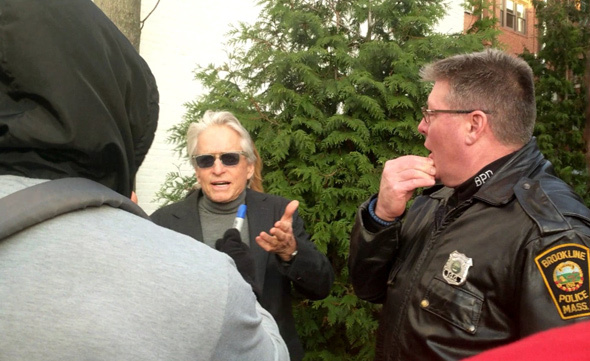 Douglas is in town for an award and film discussion at the Coolidge Corner Theatre. Hood Will Hunting reports bringing a VHS copy of "Wall Street" in the hopes of getting Kirk's son to sign it - which he did. Brookline Police report their Boston counterparts found a large menorah at Church and Weld streets in West Roxbury this morning that had been stolen from Temple Emeth at the Putterham rotary in South Brookline, about a mile away. The case is under investigation. WBZ reports the menorah, normally mounted outside the temple's main entrance, weighs 300 pounds. An older woman with a 20-something woman just got on the T car I’m on. A 20-something man kindly offered his seat. Without missing a beat the older woman says “thank you, you should meet my granddaughter Katie!” Katie looked mortified. Matchmaking grandmothers never rest! WHDH reports on the attack off Thorndike Street shortly before 3 a.m. The woman was able to escape. The Supreme Judicial Court ruled today there's no question that Antonio Fernandez is a murderer, but ordered a Norfolk Superior Court judge to consider whether he should one day get a chance at parole because he was only 16 when he fatally shot another teen celebrating his graduation from high school in 2002. Read more. 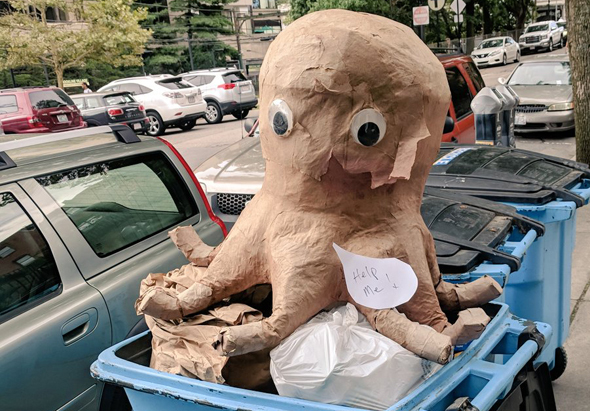 Henry Wong spotted this poor creature in Brookline Village today. Wicked Local Brookline reports that around 3:20 p.m. on Aug. 12, a Beacon Street resident called 911 to report "that their apartment smelled like garlic." CommonWealth reports on a rally Jeffrey Sanchez had yesterday at the Mildred Hailey Apartments with some long-time local progressives standing behind him as a progressive leader in his race against progressive Nika Elugardo. 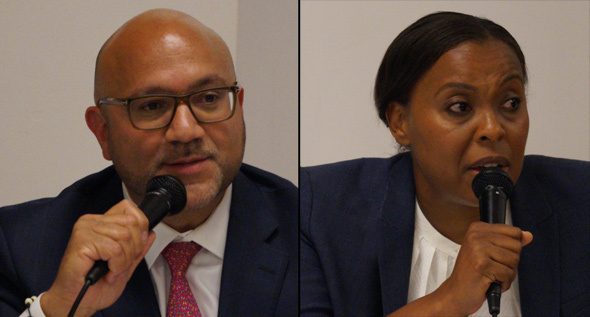 In a battle between progressives, a forum centered on best way to achieve goals. At 3:46 a.m., a caller reported someone was standing at the entrance to their apartment and looking into a window while peeling sunflower petals. Claire Blechman walked along the Muddy River in Brookline after the storm lightened up a bit. 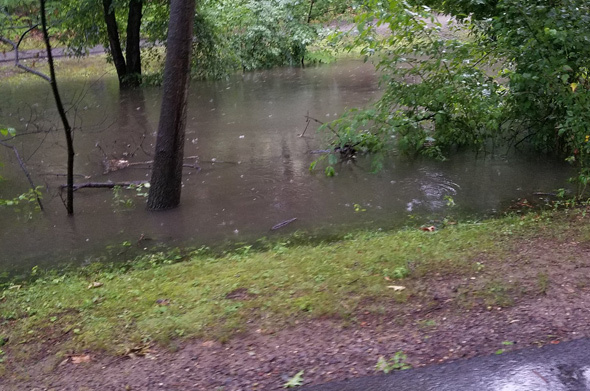 The normally placid brook was not the only place to have flooding during the second storm round: Read more. At 8:16 p.m., the police received a call about two males catching geese for dinner. They had been catching the geese by Leverett Pond. Michael Burstein reports the Brookline Select Board voted last night to let Taam China on Harvard Street remain open, under conditions that include requiring that one of the two co-owners - the one charged with making the videos over several years - relinquish his 50% share of the business. There's probably a good reason a Bay State Taxi cab wound up on the Green Line tracks on Beacon Street near Coolidge Corner, as Jason Kashdan shows us. Whatever the reason, the line is now dead. You can work up an appetite driving sort of aimlessly around - especially if you forgot to eat lunch - so when we saw the Pizza Stop on Cypress Street in Brookline, we pulled over and went in - and were immediately struck by the large sorta-Lichtensteinish mural on one wall (especially impressive given that the whole place is really tiny). Compare to the Phaeton legend painted on a wall at Nick's on Washington Street in Roslindale: Read more.